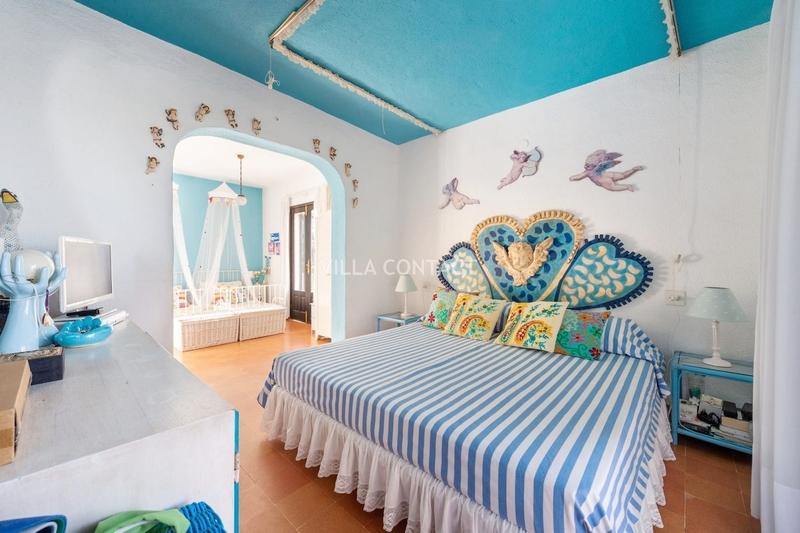 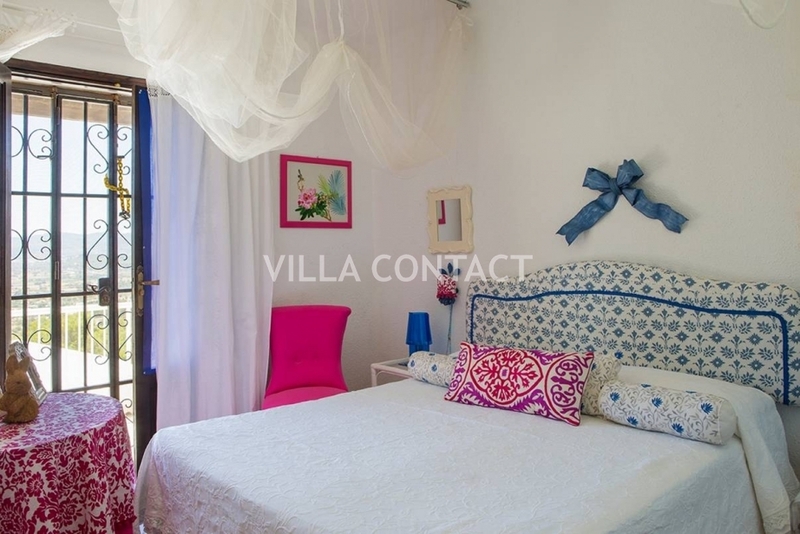 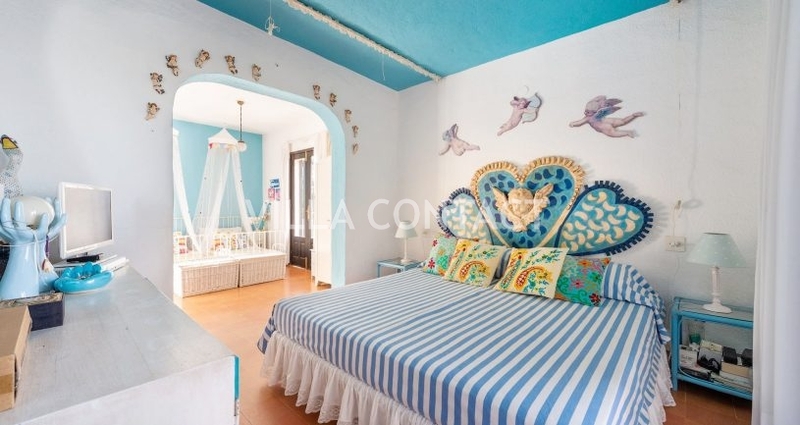 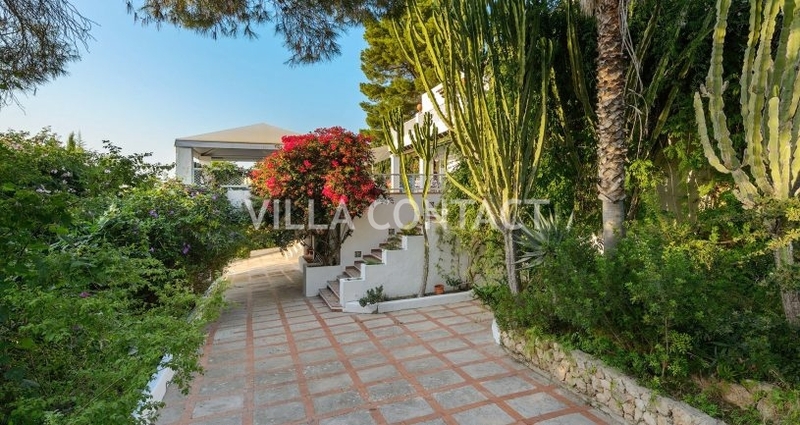 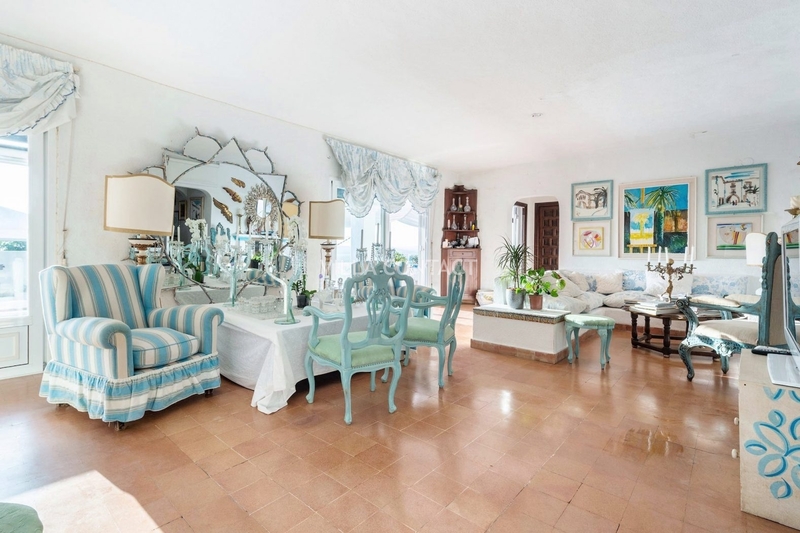 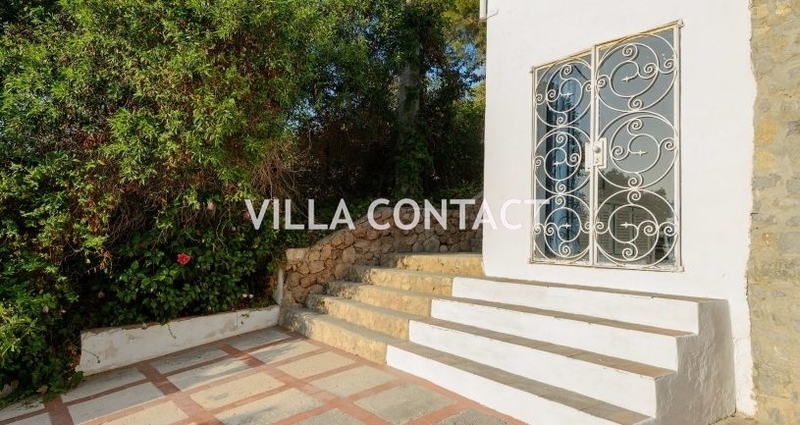 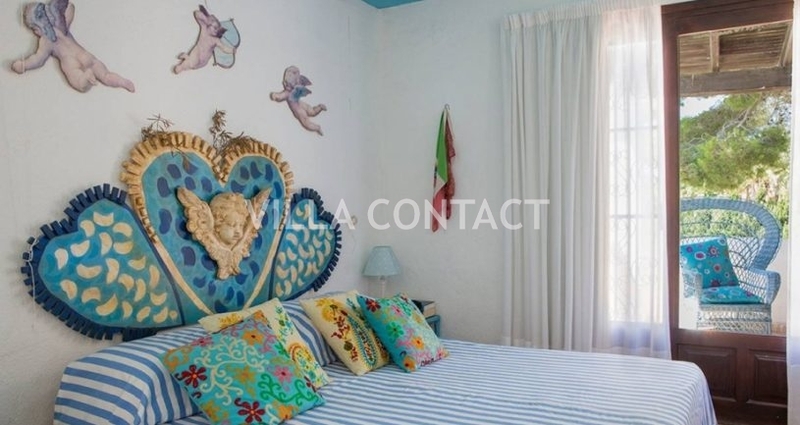 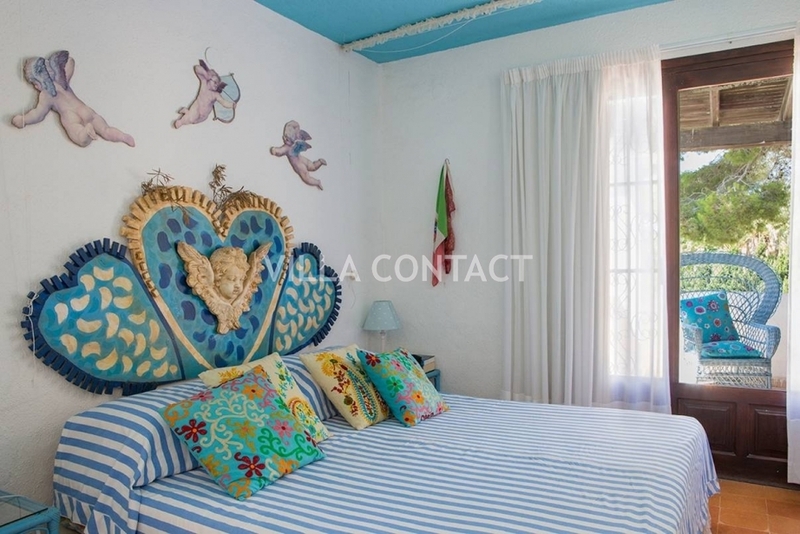 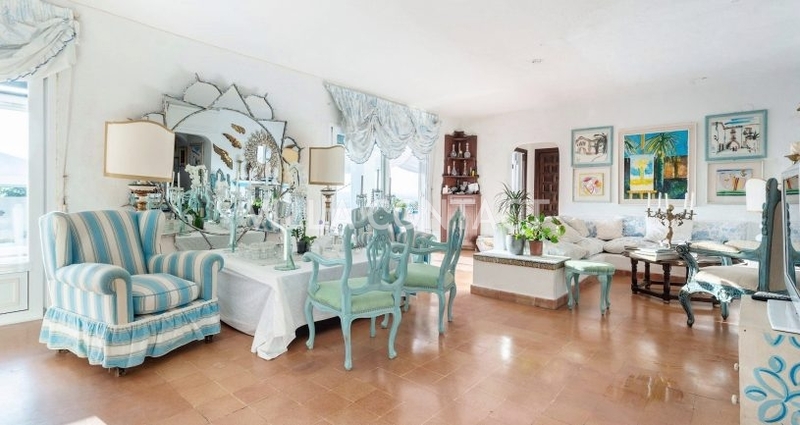 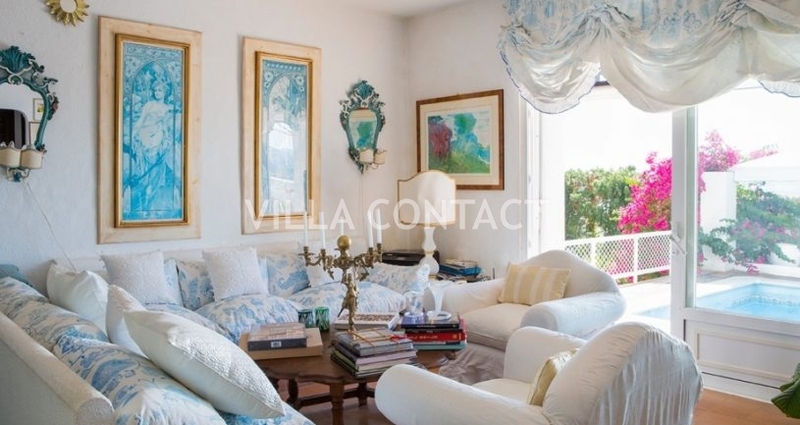 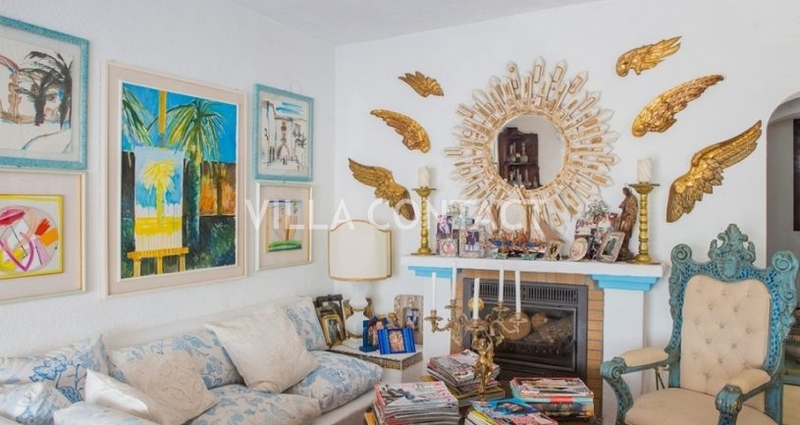 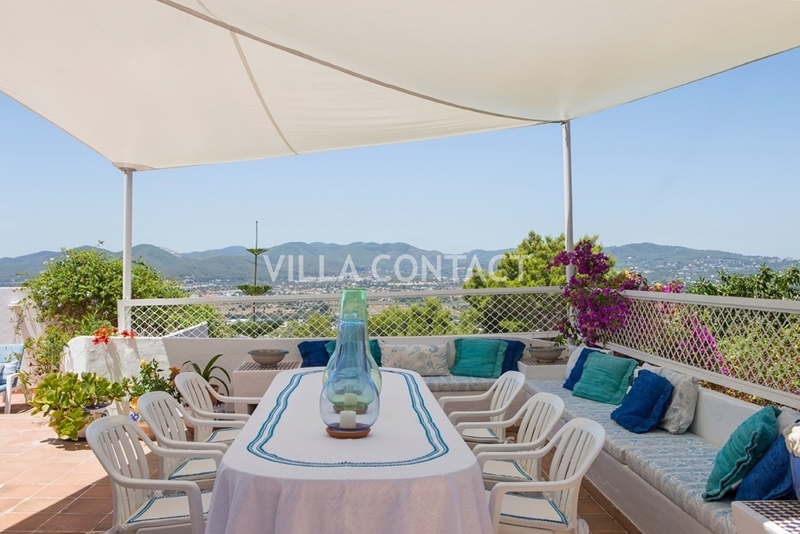 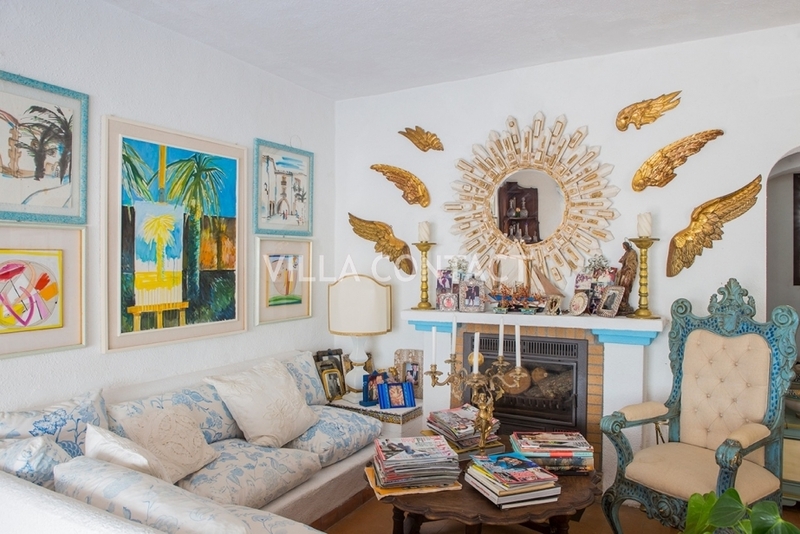 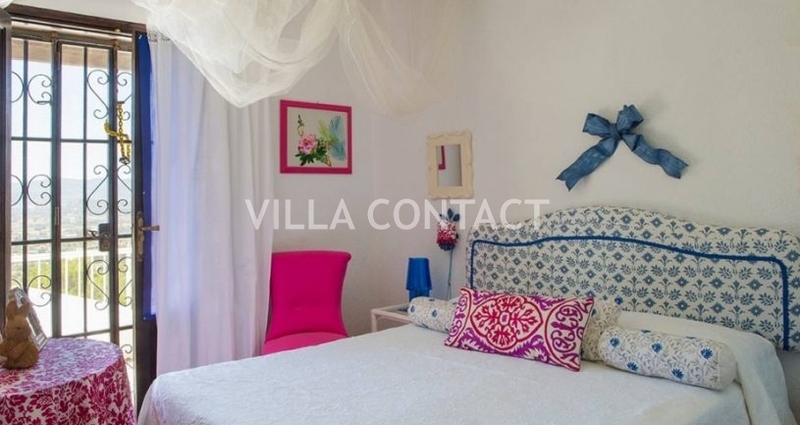 Charming traditional villa located up on a hill near Ibiza town and the village of Jesus. 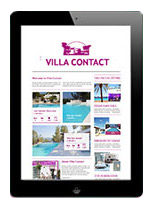 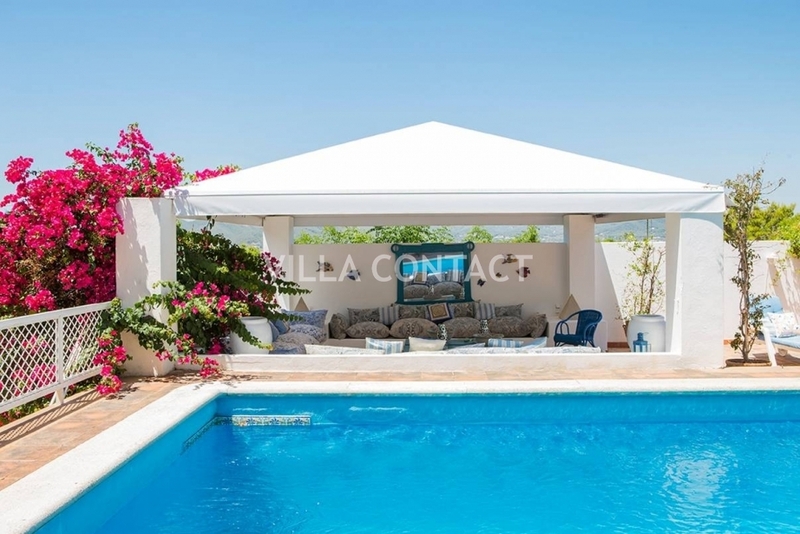 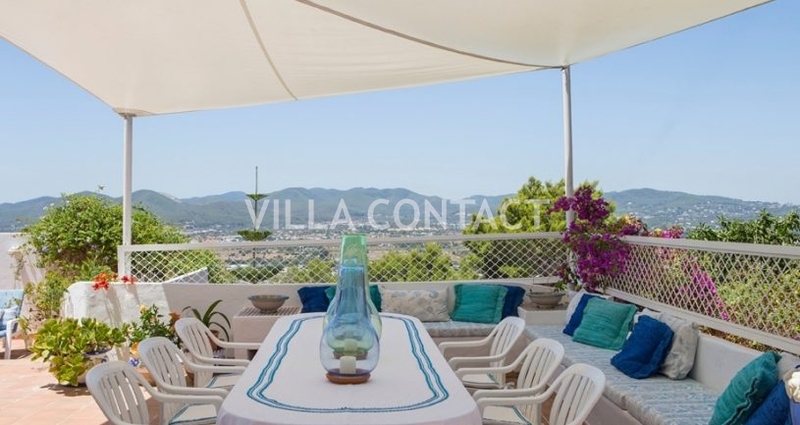 This property is conveniently located near the harbor and has elevated views towards Ibiza town and Dalt Villa. 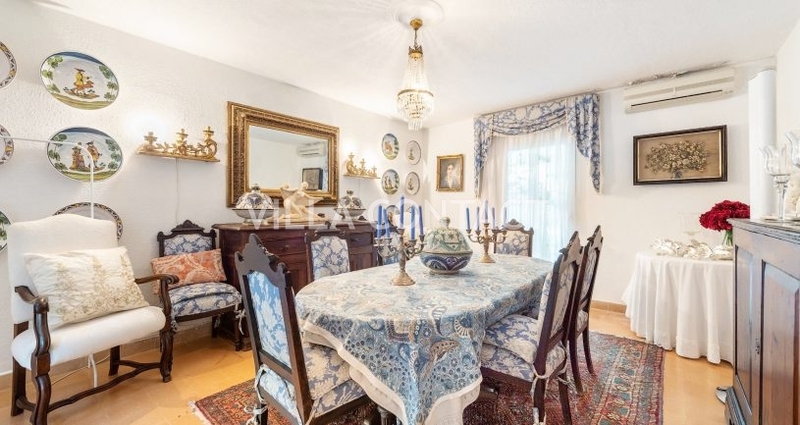 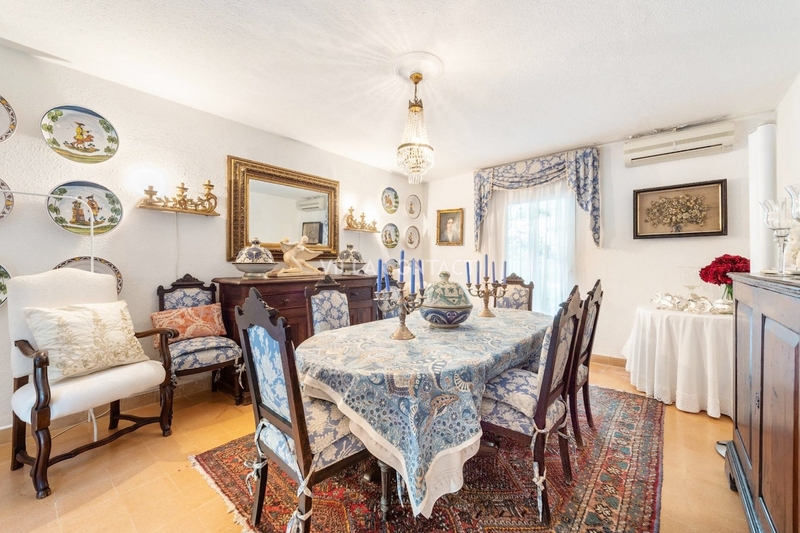 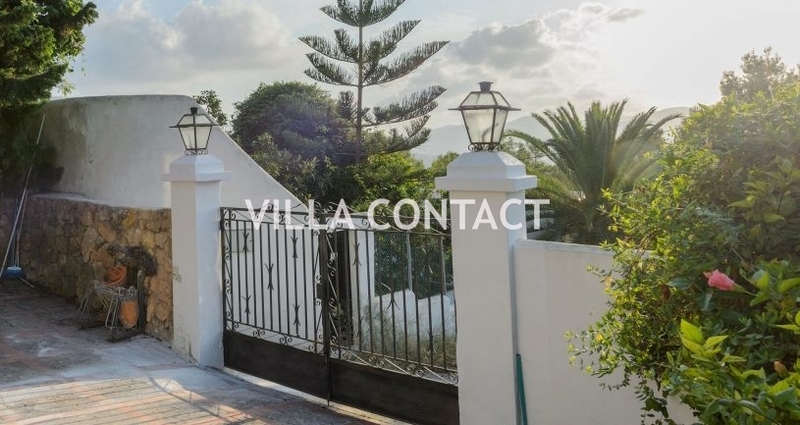 This family home is distributed over to floors and has a large pool and gardens surrounding a large sunny terrace with a lovely covered veranda and an alfresco dining area. 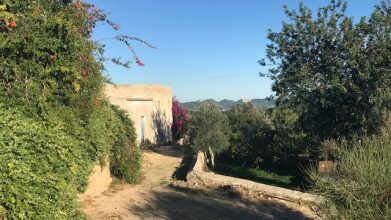 The gardens are lush and mature with various large palm trees, flowering bushes and pink and purple bougainvillea trees. 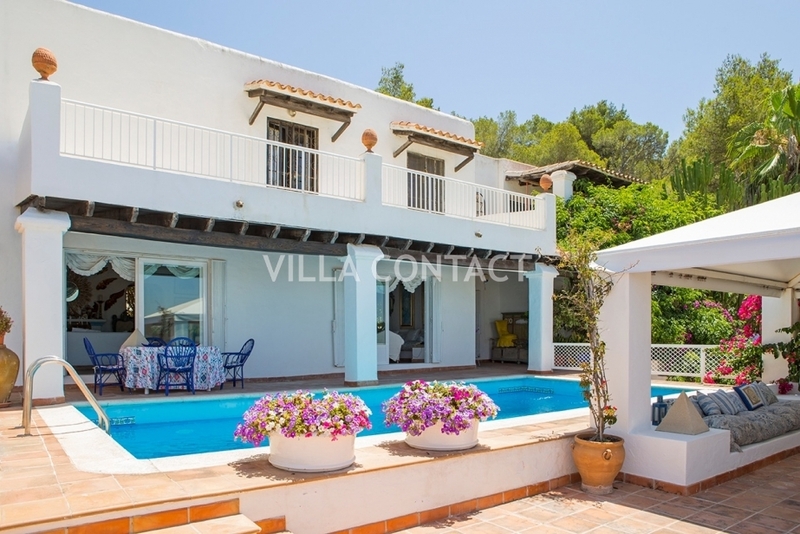 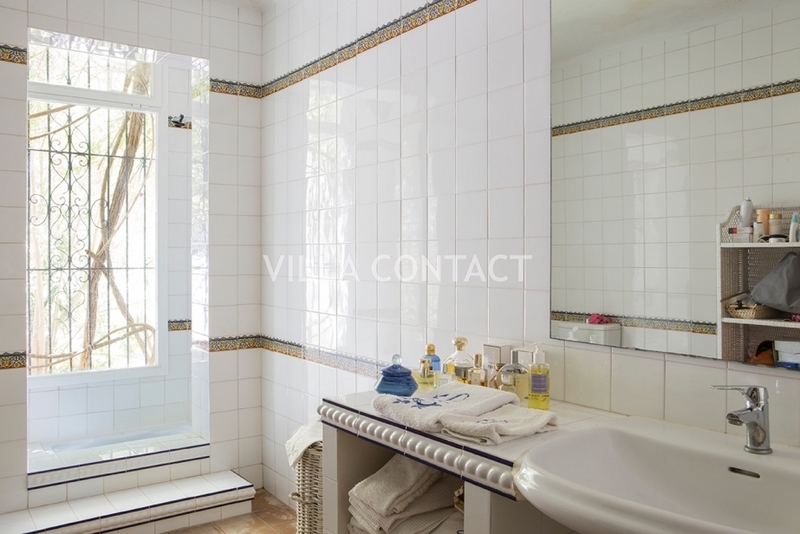 The main villa has four bedrooms; the living room, dining room and a family kitchen are all of the ground floor. 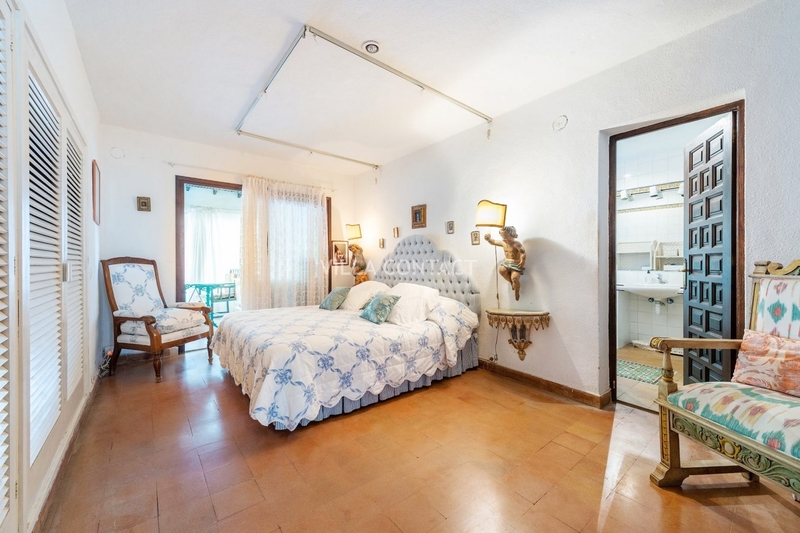 There is also an additional independent guest bedroom en suite and a small staff room. 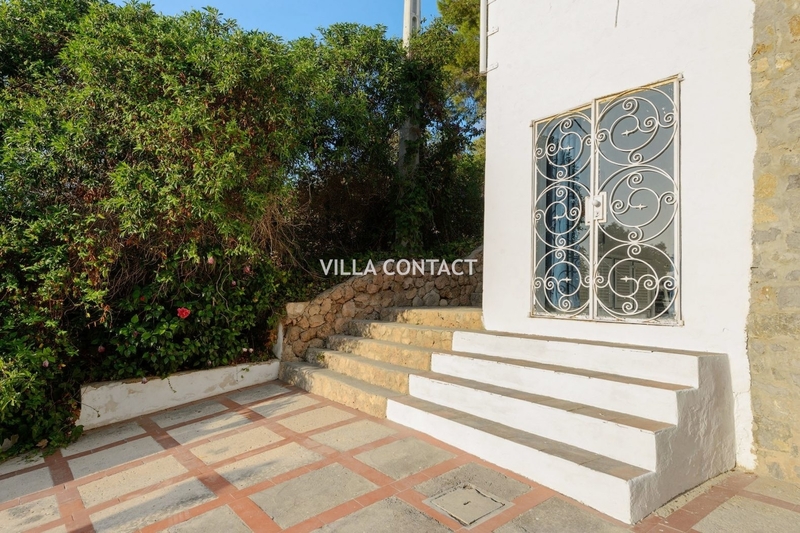 The property also has a large basement with 2 secure garages. 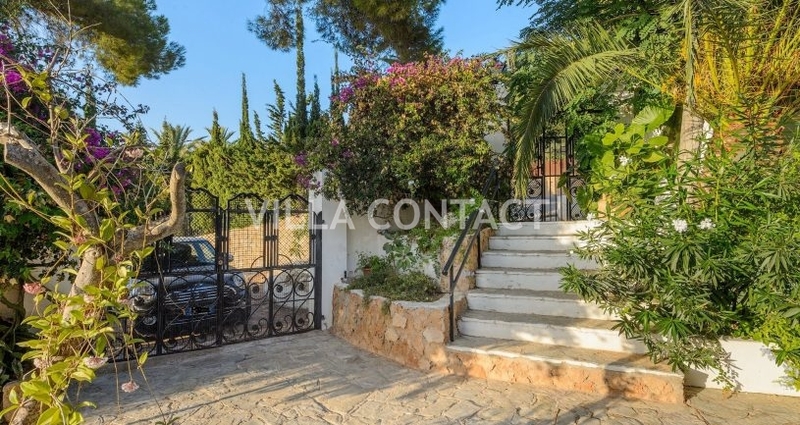 The urban plot is completely fence and has a secured front gate with alarm system. 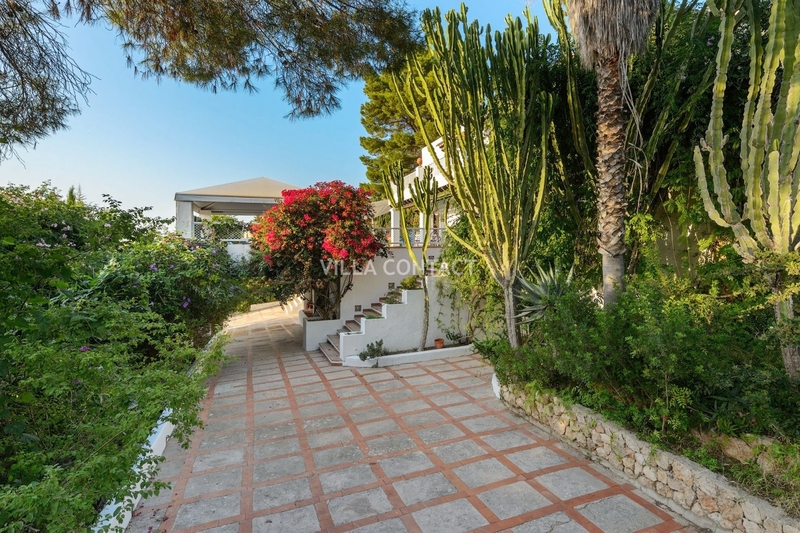 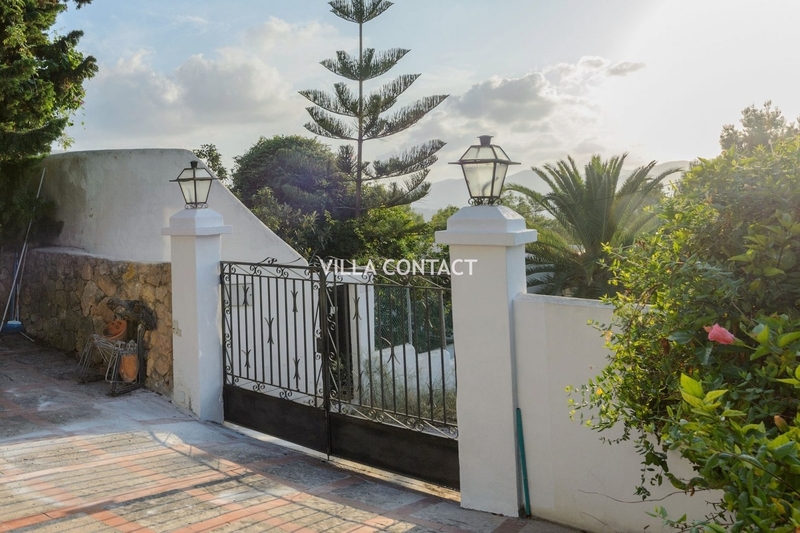 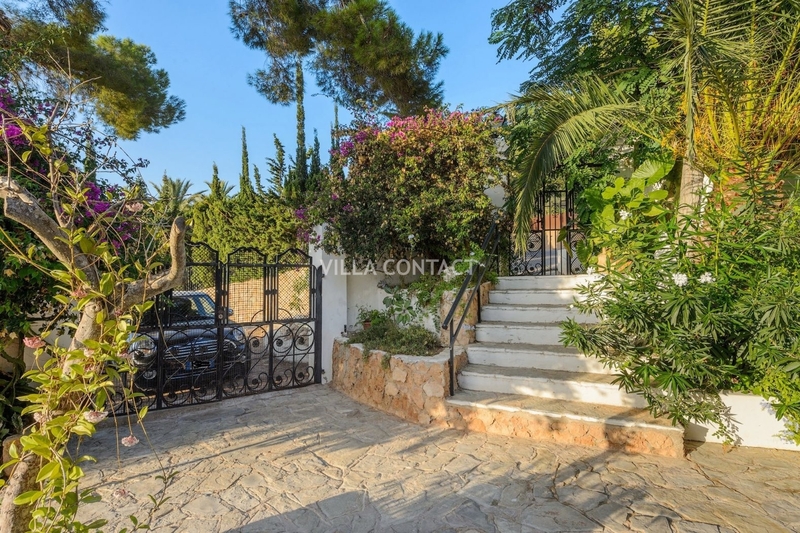 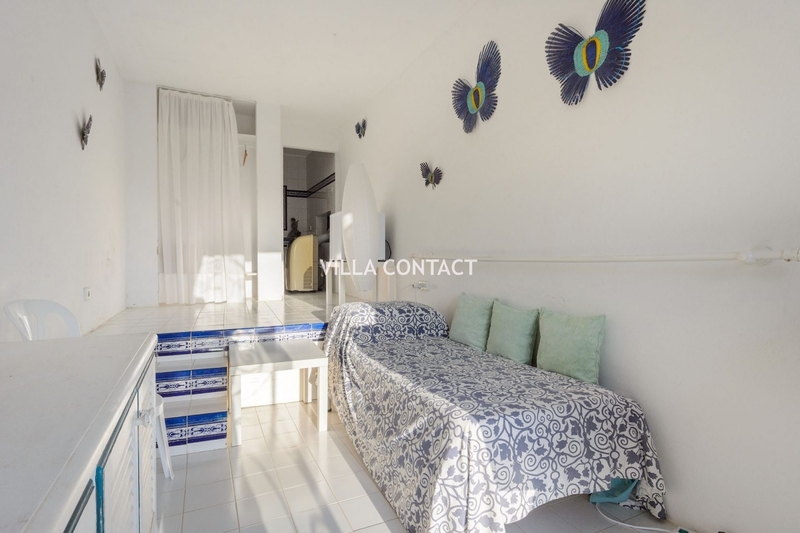 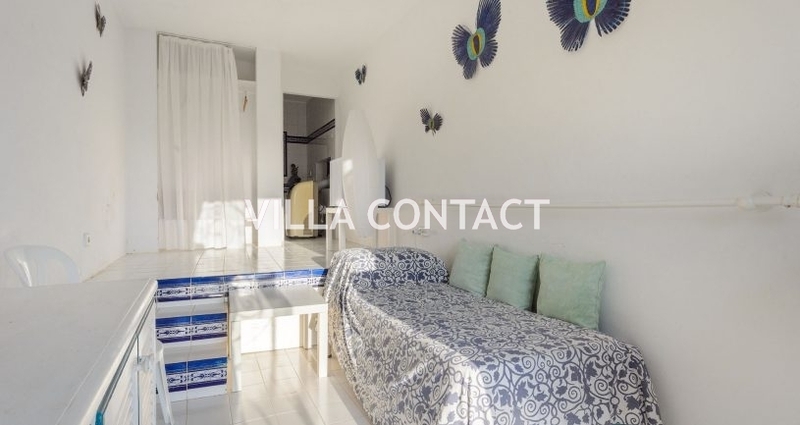 This property needs some investment but with its fantastic location and spacious size this could be an ideal large family home just a few minutes’ drive from the harbour and Marina Botafoc.